Thank you for reviewing your recent stay at the Omni San Francisco. We are very glad to hear that you were able to enjoy our hotel and its central location. Furthermore, it is always pleasant to hear great feedback about our wonderful team; thank you very much for your kind words. We truly look forward to having you back with us again in the near future. Thank you sincerely for the warm review of your recent stay at the Omni. I will be sure to pass along your kind words to our wonderful team. We look forward to welcoming you back again the next time you travel to the Bay Area! Fantastic stay at the Omni San Francisco! Thank you sincerely for taking the time to review your recent stay at the Omni. I am glad to hear you enjoyed the hotel and your room. Furthermore, it is always a pleasure to receive such kind feedback about our wonderful team; thank you. 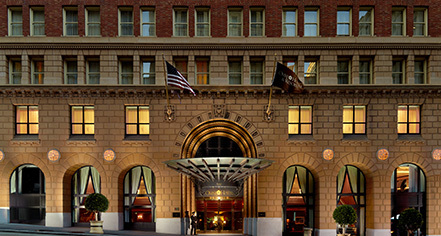 We look forward to welcoming you back at the Omni the next time you visit San Francisco! Stayed at The Omni for 3 nights as our final destination of a 4 stay holiday. From arrival to departure the hotel and its staff was perfect. Central hotel, close to transport, restaurants, great choice for a short stay, thoroughly enjoyable. Thank you for taking the time to review your recent experience at out hotel. I am glad to hear you enjoyed the hotel and its central location. 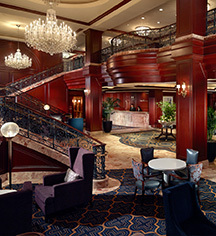 We hope to welcome you back at the Omni again soon!